Henry’s on the move. 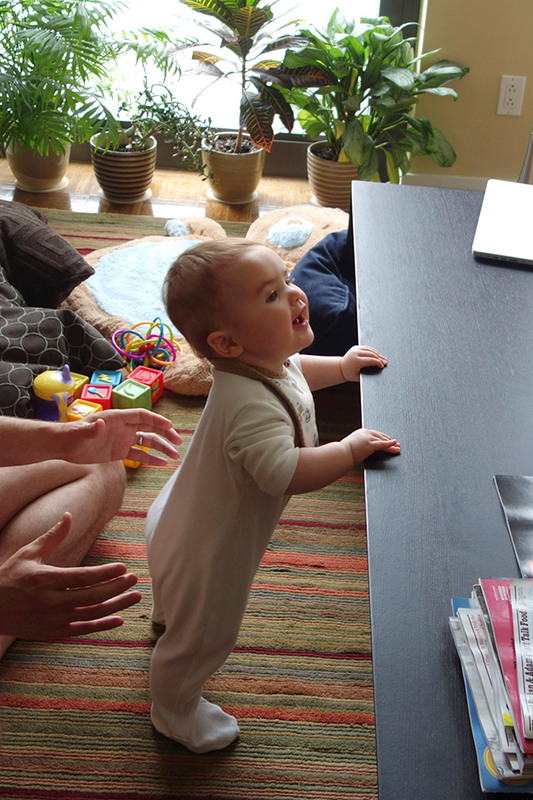 He’s utilizing the coffee table to take the first steps towards cruising, crawling and, with my help, sliding. Henry’s starting to tentatively hold himself up to explore the room. This entry was tagged blues, crawl, music, standing. Bookmark the permalink. Loved the “sliding” video. Mark, I think you loved sliding Henry just as much as he enjoyed the slide ! So cute. And the crawling and standing photos are also great. Henry is one happy little boy! Thx for posting, I enjoy every single one !